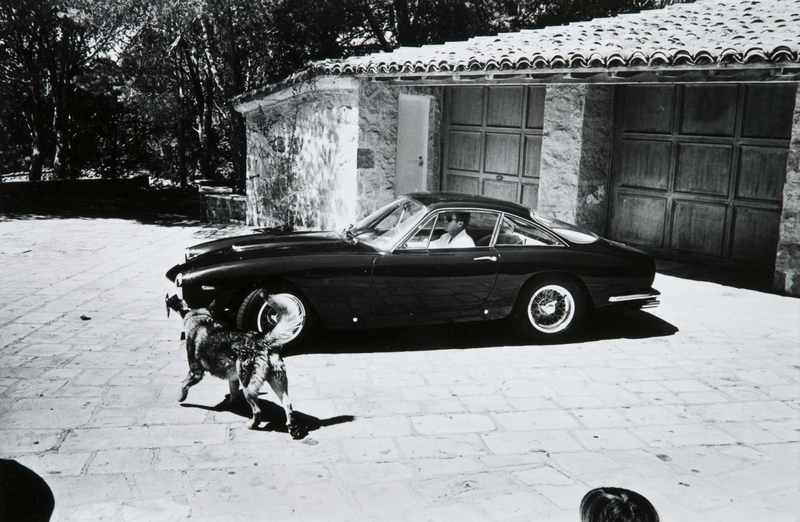 In life, there's cool, there's vintage Ferrari cool, and there's Steve McQueen's Vintage Ferrari cool. Somehow condensing all the cool that ever existed into one package, Steve McQueen's 1967 Ferrari 275 GTB/4 is going up for auction this summer via RM. The 275 GTB/4 wasn't exactly your average Ferrari of the day: the engine was heavily reworked at the factory, giving it a clean 300 hp. Combined with the sleek lines courtesy of the design gurus at Pininfarina, the car could top 165 mph. The engine's so important that that's where the car gets most of its name: 275 is the volume, in cubic centimeters, of each combustion chamber in the engine, and the "/4" denotes that it has four cams. In other words, this is what happens when Ferrari supes up a Ferrari. McQueen bought the car new in 1967. Somewhat ironically, he picked it up in San Francisco, where he was filming Bullitt at the time. How cool is this? After McQueen got out of the driver's seat, Zorro bought the car. Really. Actor Guy Williams, who was both Zorro and Professor Robinson in Lost in Space, cherished it until his death. Of course it's been fully restored, but while some cars are worth restoring at a quality shop, the history and uniqueness of this one make it that much more important. It was shipped to Italy, where Ferrari itself oversaw the restoration last year. The workers were so enamored with it that they had photos of McQueen laying around both as inspiration and to use as reference points. Between the vehicle itself and the owners, this might just be the perfect car. Aaron Miller is the Rides editor for Supercompressor. He's not sure how reincarnation works, but there's a chance he was Steve McQueen in a past life, given their shared taste in automobiles.